We are located at 100 E. Washington St.
Jennifer and Barb are both North Putnam graduates and deeply rooted in the community. Known by the kids as “Miss Jennifer” and “Miss Barb”, these ladies enjoy sharing books and storytelling (shocker, right?) 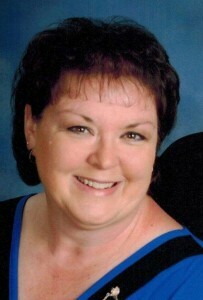 Jennifer has a BA in English from IUPUI in 1999 and earned her Secondary English Education license in 2009. 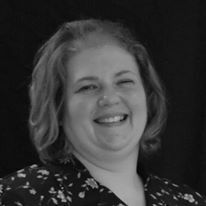 She has previously worked Healthy Families, as an aide and temporary teacher at North Putnam, and was a Deputy at the Putnam County Assessor and Auditor’s offices. She came to the Roachdale Public Library as Director in September of 2014. Miss Barb joined our staff in late October of 2015. She has been an active volunteer in the community for many years as a Sunday School teacher, the wife of a firefighter, and theater mom (Vanity Theater in Crawfordsville). She’s also a life-long Roachdale resident. Both Miss Barb and Miss Jennifer hold regular story times for the library. Miss Barb is a fantastic storyteller and leads the library’s Preschool Storytime on Fridays during the school year. Miss Jennifer travels to three daycares locally with a Mobile Storytime.